A popular attraction at the Montgomery County fair is the rabbit barn. Volunteers tell visitors about the rabbits and monitor the barn to make sure visitors abide by the barn rules: NO touching the rabbits, NO fingers in the cage and NO balloons in the barn. Most volunteers wear aprons to distinguish them from visitors. 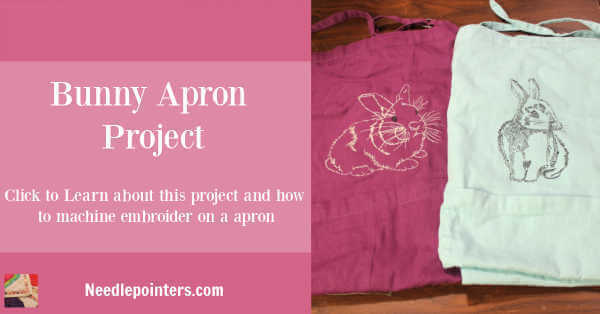 Chris decided to make quick and easy machine embroidered bunny aprons to use when she and her daughter volunteer in the bunny barn. Watch this video and read on to learn more about this project. 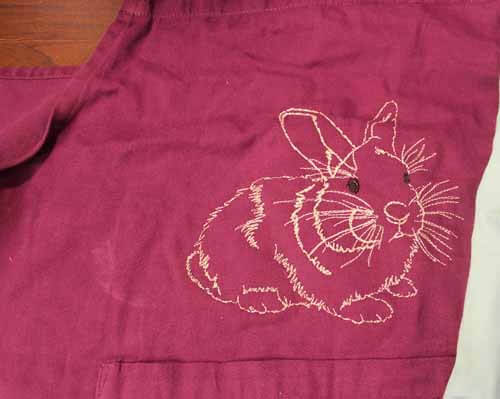 Click to watch the Machine Embroidered Bunny Aprons video in Youtube. 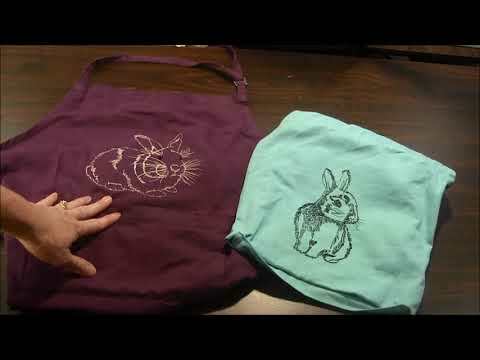 - Embroidery design onto apron - Tutorial on how to machine embroidery an apron below. 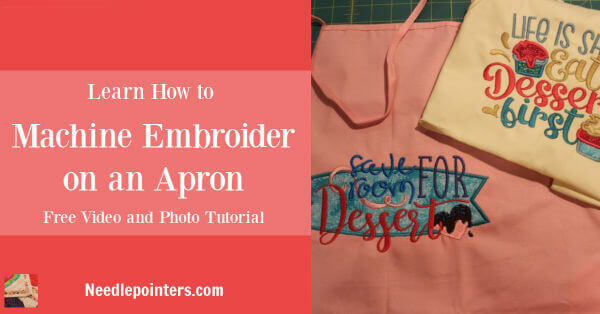 Learn how to machine embroider on an apron by watching our free video tutorial or reading our step-by-step written photo tutorial. 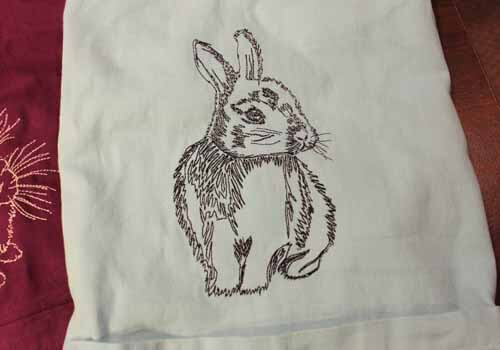 Purchase aprons and rabbit designs below.